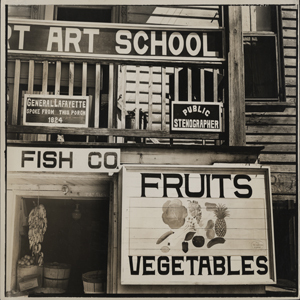 A collection of photographs documenting homes, schools, colleges, churches, streets, landscapes, murals, artwork, and other aspects of South Carolina life, these images were collected by photographers hired as part of Federal Writers’ Project. The Federal Writer’s Project was created in 1935 as part of the United States Work Progress Administration to provide employment for various white-collar workers such as historians, teachers, and writers. Read more about the collection here.